May 11, 2015, 2:42 p.m.
Bernie Sanders, a Senator for Vermont and currently the only declared challenger to Hillary Clinton for the 2016 Democratic presidential nomination, is the only member of Congress to describe himself as a socialist. For much of the Cold War socialism evoked images of military parades in Moscow&apos;s Red Square, but for Sanders, and many of America&apos;s self-declared socialists, their aim isn&apos;t to bring revolution to America but to make America more like Sweden and Norway. 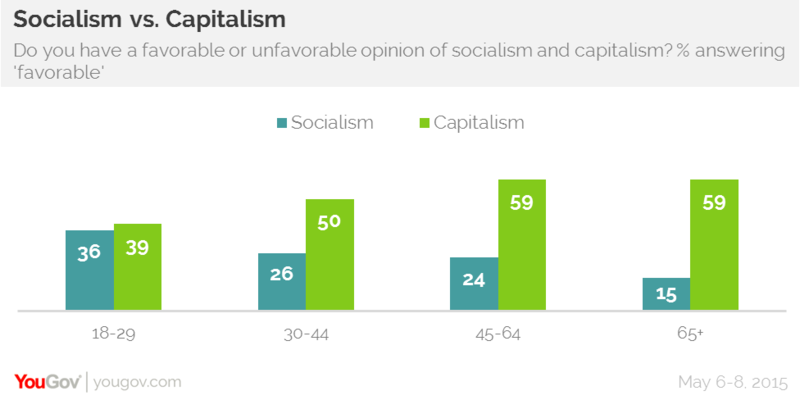 YouGov&apos;s latest research shows that when Americans are asked whether they have a favorable or unfavorable opinion of socialism and capitalism, capitalism comes out on top. 52% of Americans have a favorable view of capitalism, while only 26% have a favorable view of socialism. Among younger Americans, however, attitudes are a lot more divided. 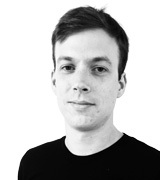 36% of under-30s have a positive view of socialism, while 39% have a positive view of capitalism. Among over-65s, who came of age at the height of the Cold War, only 15% look upon socialism favorably while 59% have a like capitalism. Democrats (43%) are also much more likely than either independents (22%) or Republicans (9%) to have a favorable view of socialism. 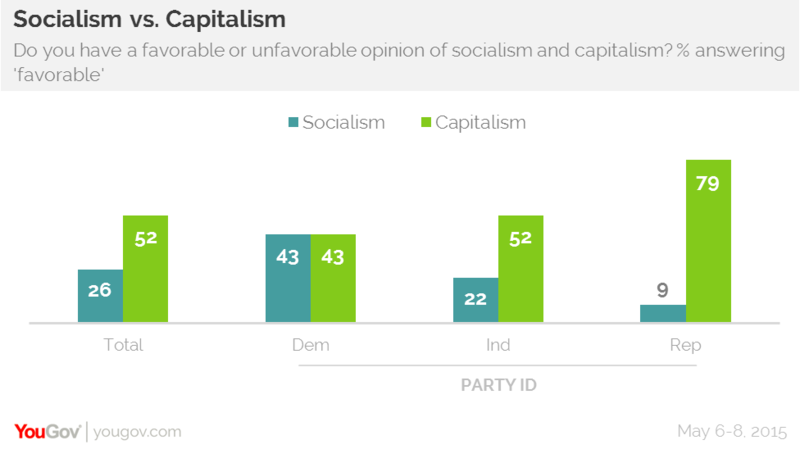 Democrats, in fact, are as likely to have a favorable view of capitalism (43%) as socialism. While only 9% of Republicans see socialism in a positive light, 79% have a good view of capitalism. Respondents were presented with a quote from Dr. Martin Luther King, in which he stated that "all life is interrelated, and all men are interdependent." 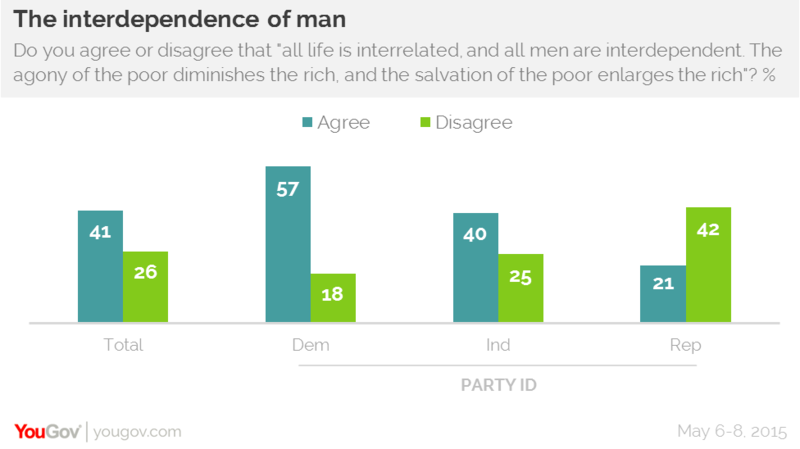 Overall, Americans tend to agree with this and the idea that helping the poor also improves the life of the rich, with 41% agreeing and 26% disagreeing. Most Democrats (57%) and many independents (40%) agree, but Republicans tend to disagree (42%) rather than agree (21%) with the statement. Asked about two other quotes, 31% of Americans agreed with Winston Churchill that "socialism is the philosophy of failure, the creed of ignorance and the gospel of envy" whilst 34% agreed with Mikhail Gorbachev that "Jesus was the first socialist, the first to seek a better life for mankind".